The Fighting Illini took on the Wisonsin Badgers in Memorial Stadium on October 24th. The Illini were close at halftime but the Badgers pulled away in the second half for a final score of 24-13. The Homecoming game was played on an overcast day with the temperature around 50 degrees. Before the game, alumni, family and friends met the undergraduates at the Beta house for food and socializing. This year the class of '65 was celebrating their 50th anniversary. The '65's in attendance included Bill Thompson of Champaign, John Iverson of Dunlap and Joe Vangsness of Chicago. 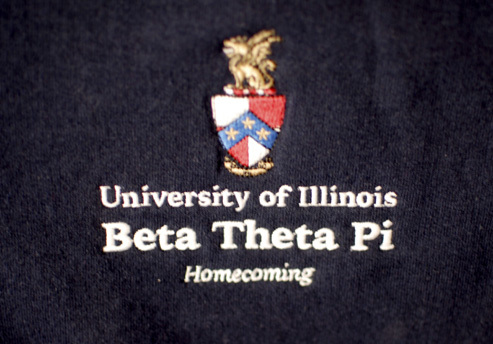 University of Illinois Beta Theta Pi Homecoming.